Valentine’s Day can be daunting for many reasons, but fear not! 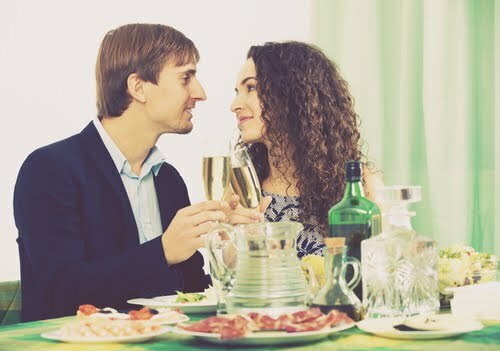 There are many simple tips to keep in mind in order to keep things going smoothly the entire date night. You may even consider an evening at home this Valentine’s Day for an intimate evening together. You won’t need to hire a babysitter, stand in line for a table, or even deal with the crowds. So here are some great ways to make an evening at home really shine for this special occasion! While dinner is cooking, serve up a great wine and cheese pairing to kick off the evening. Knowing how to masterfully balance out these flavors can set the tone for the evening to come. Utilize your wine caddy and tray to wow your date with these classic pairings. Port & Blue Cheese - Balance out sweet and bitter with a Port and blue cheese pairing. Prosecco & Parmesan - Enjoy Italian flavors with this bubbly and salty combo. 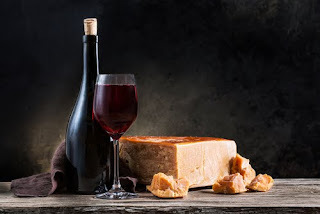 Cabernet & Gouda - This full bodied wine complements the nuttiness of the cheese. Riesling & Ricotta - Balance a sweet ricotta with this classic German wine. Pinot Noir & Brie - Bring a subtle wine to the table with this stronger cheese selection. Dinner is the main attraction of a stay at home Valentine’s Day. If you’re not a culinary master, eating in can be intimidating. But there’s no need to worry! There are a few simple tips that can turn a simple night at home into a romantic evening. Dress up! Ladies, put on that dress that’s lived in the back of your closet since you bought it. Gentlemen, bust out that tie your date won’t allow you to wear to anything but a formal wedding. Yes, you might just be using your stilettos to kick the kids’ toys out of the way, but dressing up will give the entire evening a different feel. Dim the lights and scatter some candles around the room to set a dreamy ambiance. Keep a few other lights on and don’t go overboard with candle placement. Remember, you don’t want a fire hazard on your hands! Dinner can be as simple or complex as your skills will allow. If your cooking expertise is limited, try to keep it simple. Avoid ordering takeout as it can diminish the intimate, personal touch of a homemade dinner. However, if eating out is a rarity in your relationship, order from a favorite restaurant and serve it up on that fine china that rarely sees the light of day. Looking for a fun way to get to know your date? 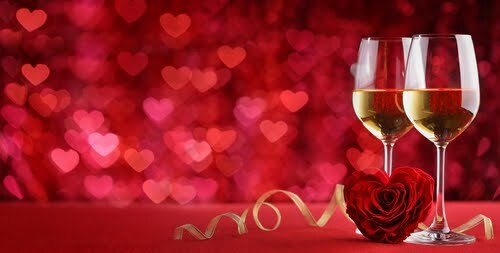 Here are some unique ideas on how to spend some fun, quality time together this Valentine’s Day. Find a new release or reconnect over a movie with sentimental value. Rewatch the film from your first date or the first time you held hands. There are plenty of top romantic movies to choose from as well. No talking! Get to know each other through acting out animals, movies, and people. Make this game of charades personal by reenacting out past dates, pretending to be mutual friends, or acting out inside jokes. Feel like a kid again when you play cards, Twister, Jenga, or any number of childhood favorites. Pull together a cuddle kit to spend some personal time with each other this Valentine’s. Change into pajamas, pull out the wine and chocolate, and curl up on a cuddle couch for some quality time together. Finish off a perfect evening with a perfect dessert. With an abundance of choices, it can be hard to choose a dessert that will impress. Start with your date’s favorite, whether that is ice cream, cake, brownie, pudding, or any number of sweet treats. The key to making the dessert special for the occasion is presentation. If ice cream is what’s on the menu, add some fresh fruits and mint leaves for color. 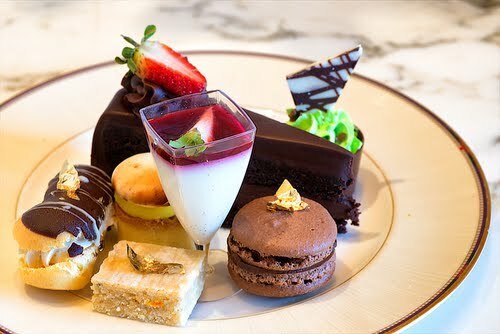 Consider a dessert platter for an array of choices. If you and your date are more adventurous, stop by a new bakery in town and select desserts you’ve never tried before. Store bought treats can still have a personal touch when served in a martini glass, mason jar, or on a fancy plate for an elegant presentation. Whatever you decide, your date will be impressed with the effort you put in for this special day. This guideline will put you on the right track for a romantic day, but remember to make it special and unique to your relationship. If you like cliché celebrations with chocolates, flowers, poems, and giant teddy bears, don’t be afraid to go all out and make your date blush with your over-the-top gestures. Or, maybe you tend to be a bit more subtle and would prefer to plan a classy, quiet night at home. No matter your style, have fun and spoil your special someone this Valentine’s Day!